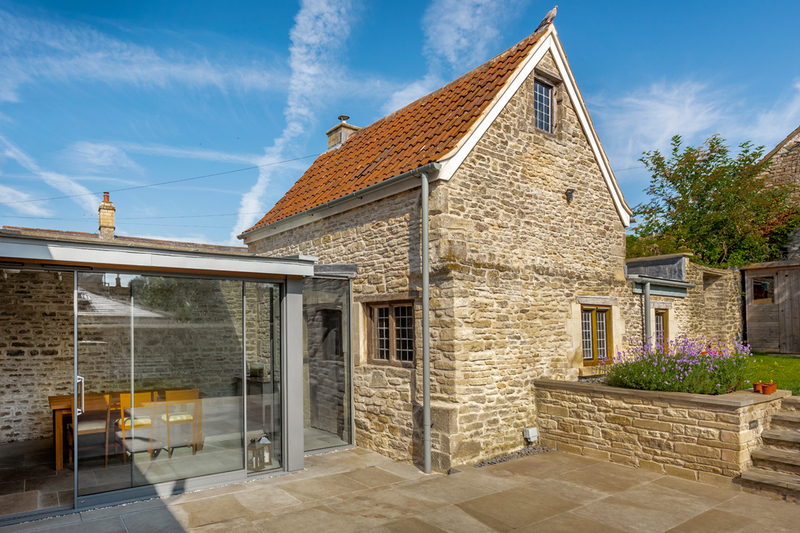 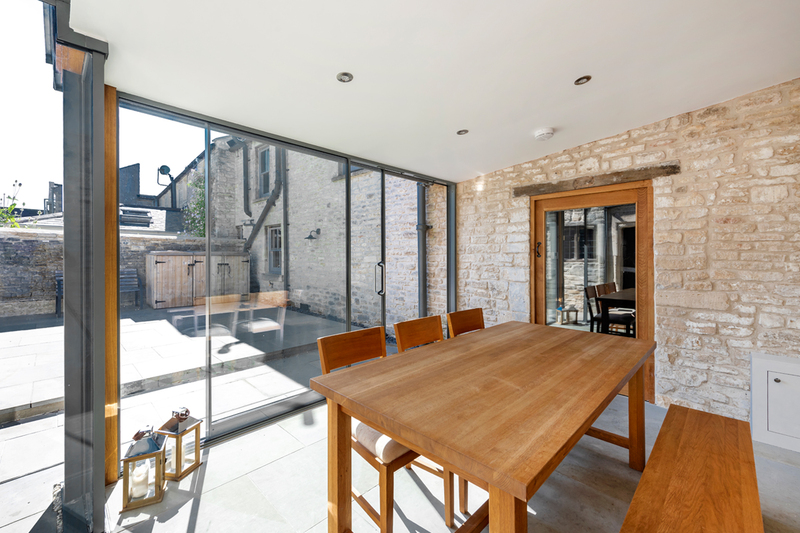 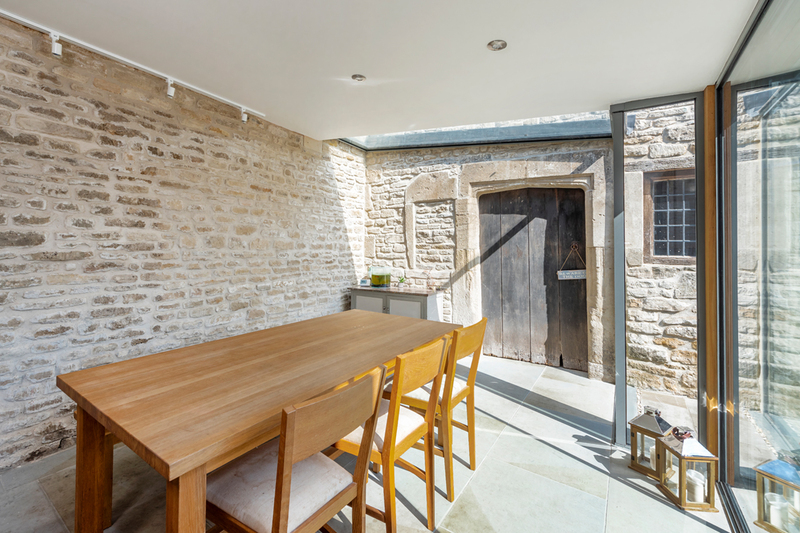 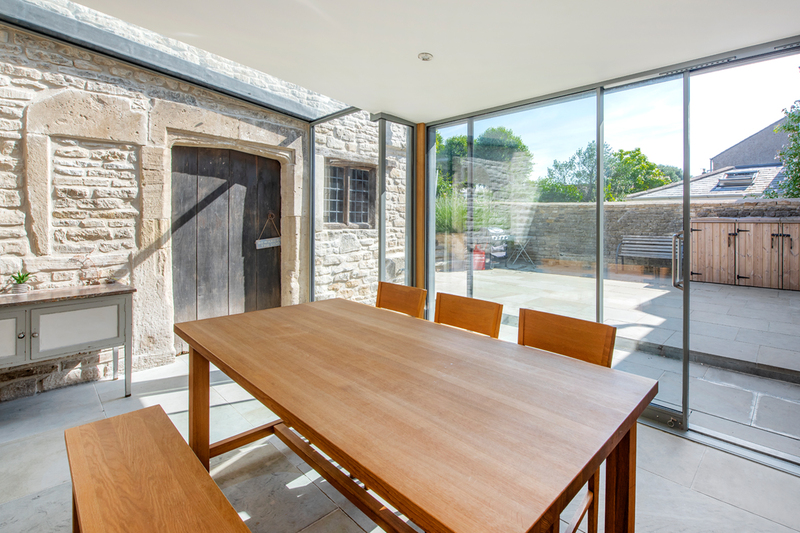 This Grade II listed building in the historic town of Marshfield, which is just north of Bath and within South Gloucester, was in need of repair and more than a little refurbishment. 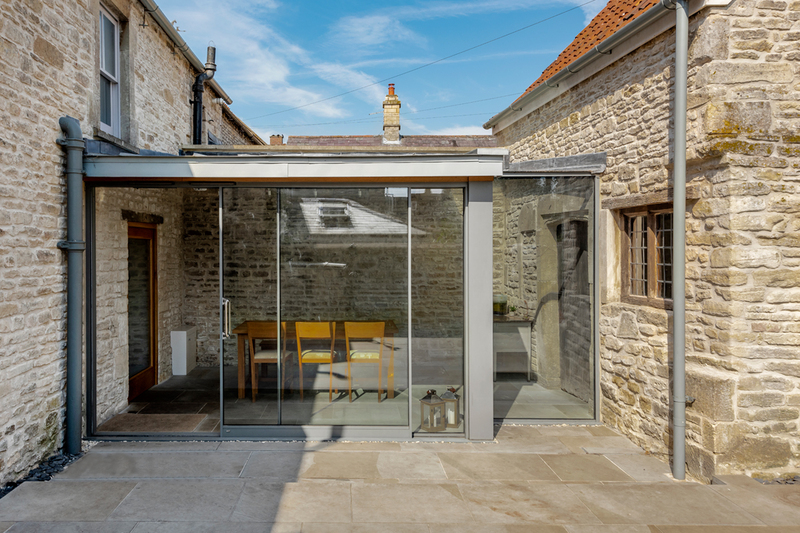 David Brain Partnership provided a considered approach with a contemporary glazed link between the house and an existing out building. 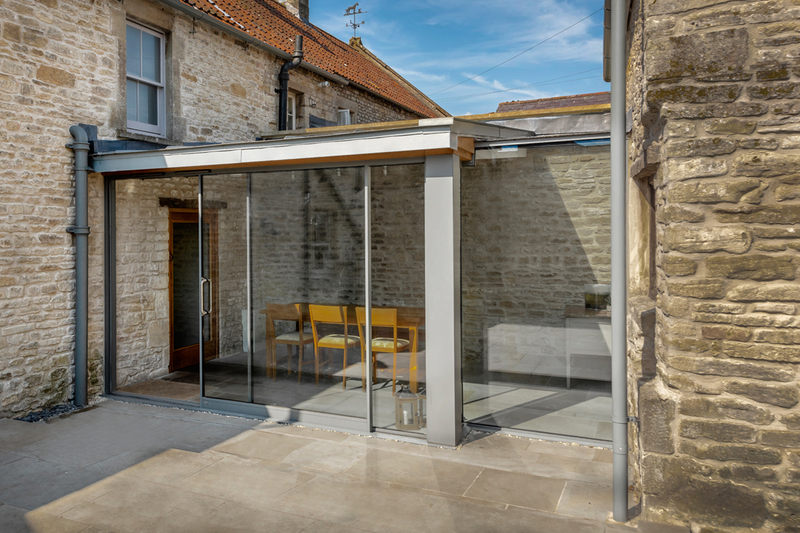 The link providing a greater degree of flexibility within the ground floor plan bringing the out building ‘into play’ as guest accommodation, with a transitional dining space between the two elements.